*Exclusive Accommodations: One day Niagara Falls， one of the most beautiful place on earth. Pick up at designated location in the morning. 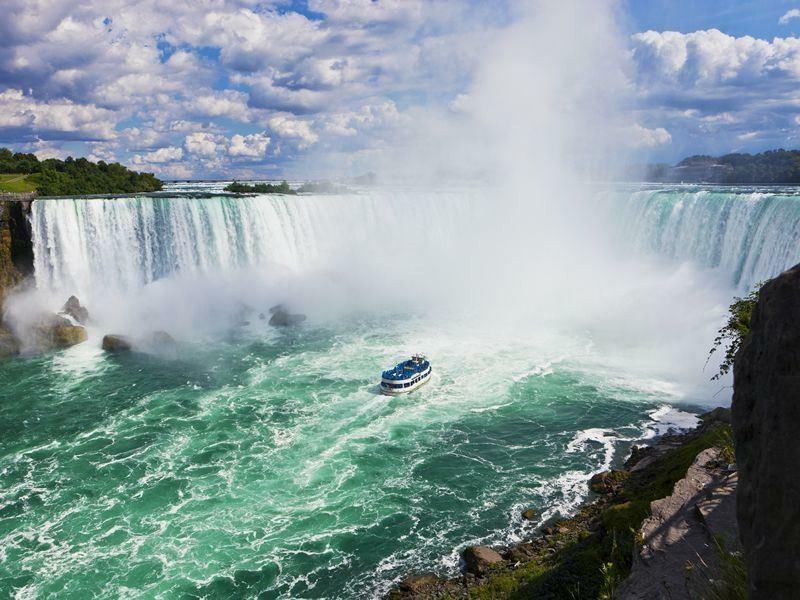 Afterwards， get ready for an experience of a lifetime to be amazed by the massive waterfalls， located on the Niagara River straddling the international border of the United States and Canada. Enjoy Niagara Falls IMAX(Fee Applied).Afterwards， transfer to Niagara Falls Skylon Tower(Fee applied). After lunch (Fee applied)， you can choose Hornblower Niagara Cruise(Fee applied) . After registered in the hotel， enjoy the free time for the night Niagara， try the lucky on Casion and explorer night in the city. In the morning， we will go to the brand new Canada largest Collection Outlet. Outlet Collection at Niagara， which is an open-air outlet shopping mall. It opened on May 15th 2014， which have more than 100 stores and restaurants， its providing an exceptional shopping experience for customers， you can find KATES SPADE NY，MICHAEL KORS，COACH，J.CREW，BANANA REPUBLIC，POLO，TOMMY HILFIGER etc. with big deal and extra coupon. After shopping， take a scenic route through the vineyards for ice wine tasting， variety of ice wines are also available for souvenirs. Return to designated location at dusk. · All fares are based on CAD， for guest only carried USD， should pay extra expense from difference in exchange rate. *Price listed below are based on CAD and for your reference only. Admission fee are subject to availability & may change without notice. Price listed above are for your reference only. Admission fee are subject to availability &may change without notice.